Mack Trucks has released the sixth episode of its RoadLife series, "Long Way From Home," on roadlife.tv and Amazon Prime Video. 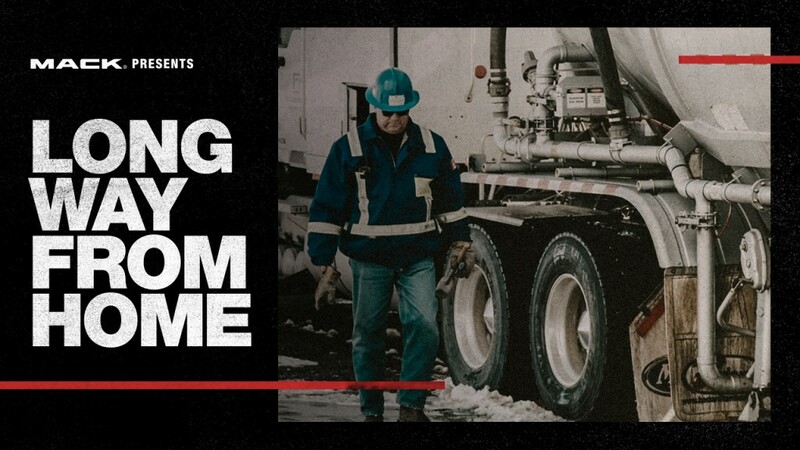 The episode focuses on two Canadian long-haul truckers as they share the personal sacrifices they make to ensure goods are delivered on time. "When you look at a truck driver, it's a lot of sacrifice. It's long hours," Flynn said. "Your social life is not what a normal person's social life is. I don't think people realize how much you have to do to make it all work." "Everything that comes to your town comes on trucks," Hamann said. "Guys are working 24/7 just to make sure the shelves are full and your gas tank is full." "Not being home, that's the biggest challenge for me," Hamann said. He carries a simple reminder with him at all times: the names of his daughters tattooed on his forearms. "You look at those some days and you remember what you're doing it for," he said. Flynn embraces the unique experience truck driving provides and said he wouldn't trade it for anything. "How many people do you know who have worked a job all their life, and they get up every morning with a lump in their stomach because they don't like their job and they really don't want to go to work?" Flynn said. "That's stressful. I've never felt that way. I never once wished that I was doing something else."